Share great content and information as "News Items" in Group forums - blog articles you find online that would be of interest to Group members and other useful content online - news, events, book referrals, etc. Cross-post YOUR own blog articles - ones YOU write - to as many relevant Groups as possible. I will very often cross-post my blog articles to five to ten relevant Groups - significantly increasing exposure of the article and maximizing the number of people who could benefit in some way from the advice and information contained in the article. Participate - in a meaningful way - in Group forum discussions. Make insightful positive-minded comments; add value to conversations; give advice when asked; answer questions. Utilize the "Jobs" feature of Groups. Search for jobs or post job openings. Groups are an excellent source of "niche" jobs and should be used by anyone actively engaged in a job search. Connect directly with other Group members. Search for people to connect with - someone who shares a common interest, a common employer experience, a common educational experience. 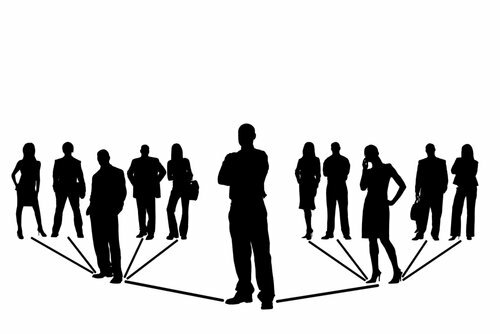 Groups are an excellent source for expanding your network of direct connections in LinkedIn. Start your own Group! Create your own "community" and serve as the moderator of Group activity. Moderating and Group "ownership" gives you great exposure and strengthens your "brand" or area(s) of expertise. Industry-specific Groups - Examples include Retail Industry Group, Health Care-oriented Groups, Travel Industry Groups, etc. Trade and Professional Organization Groups - There are Groups for scores of trade and professional organizations. Join those relevant to you. Employer Alumni Groups. Many of the Fortune 100+ companies have alumni Groups for their former employers. This is a great way to reconnect with former colleagues. College/University Groups. Most major colleges and universities of Alumni Organization Groups on LinkedIn. Another excellent means for reconnecting with "long lost" contacts and friends. Job/Career-Related Groups. There are hundreds of Groups in the job, career development, career management areas. If you're in a job search, you'll definitely want to check these out. Social Media Groups. There are Groups for Twitter, Facebook and LinkedIn where you'll find forums for discussion of tips, techniques and very useful advice relevant to most major social media tools. Peer-level Executive Groups. Check the various CEO, COO, CIO, CFO, etc. specific groups. A great way to connect with peer-level professionals and sharing useful information. Personal Interest Groups. An avid cyclist? Well, there are Groups. A devoted football team fan? There are Groups. A great way to share with people of like-minded interests. New Business. Find Groups to join where there are members who are highly likely to be a source of business for you - potential customers, clients, buyers and "influencers." Look for ways to add value to these Groups through discussion and sharing of information. Begin expanding your Group involvement and participation today. Another GREAT way to tap the power of LinkedIn! Feel free to list your favorite Groups below as a comment. Be sure to explain why the Group is a good one to join! Did you enjoy this article? Read more articles by this expert here. Andy Robinson: Executive Career Coach, Career Success Radio Show Host, Personal Branding Strategist, Consultant, Speaker. I help my clients love what they do for a living and achieve lasting career success. I am a 15 year executive coaching veteran and work with coaching clients nationwide. Previous experience includes over 10 years with PricewaterhouseCoopers as a consulting director and human resources specialist. Connect with me on LinkedIn: www.AndyOnLinkedIn.com, Twitter: www.AndyOnTwitter.com and visit my Blog Site at www.AndyRobinsonCoach.com. The photo for this article is provided by Shutterstock.